News Great Plants for Not-So-Green Thumbs! Let’s face it – very few of us have an advanced degree in botany, or a wealth of extra time. Yet, it’s impossible to deny the uplifting power of a few well placed houseplants. They add color to a dull corner, clean our air and in some cases even have medicinal qualities. Luckily there are a few plants that can stand a little neglect and forgetfulness and will continue to brighten your space even if you forget to water theirs! Other lily varieties can be finicky and delicate, but peace lilies are much heartier. They can survive in relatively low-light settings, and only need to be watered once per week. Use a spray bottle to moisten the leaves several times each week and keep away from direct sunlight. If you notice wilted leaves, simply remove them or cut the brown parts away with sharp scissors. Peace lilies don’t just add to the look of a room – they are excellent natural air purifiers! If you want to add a pop of bright color to a room, try African violets! Few other flowering plants require so little care as these brilliant beauties. Water once per week and keep near a reliable light source and they will flower year round. Remove dead flowers at the end of each blooming cycle for optimum plant health, and make sure to keep them in a relatively small pot. 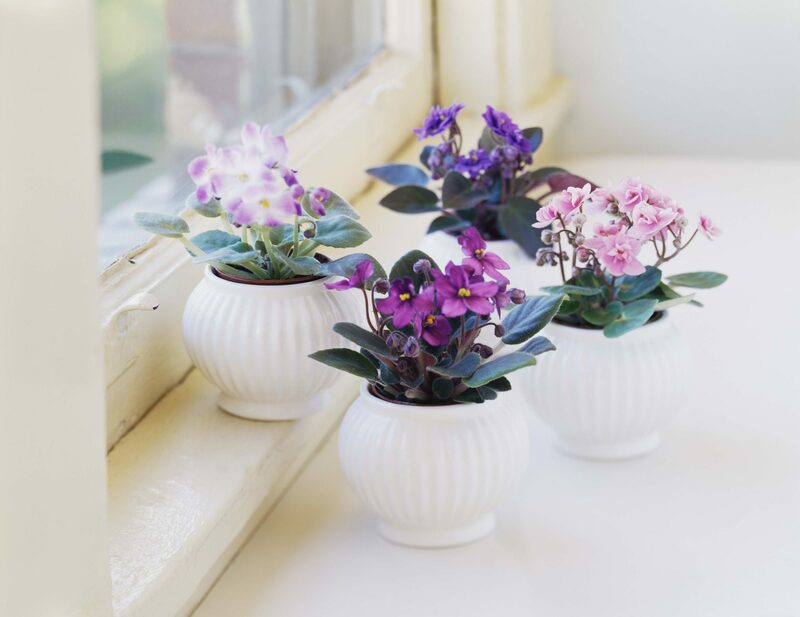 African violets thrive in cramped quarters, with pots barely bigger than their own root system. Cacti blend in with almost any design style, making them an ideal plant for any room. While growing they may need to be watered once per week, but they can go much longer throughout the winter months. Some can easily survive being watered only once every month or two. Keep them near a window so they are exposed to a few hours of sunlight on most days and they will remain healthy for years. Keeping an aloe vera plant in your kitchen isn’t just great for aesthetics. Snip off a leaf and squeeze the plant’s juices onto a minor burn for instant pain relief. Place the plant’s container near a window and water regularly, but don’t be worried if you have to head out of town. Dryness in the top layer of soil doesn’t bother aloe a bit! Do your plants need a new home? Check out our gorgeous new listings here!